3 What is the Post-Redirect-Get Pattern? 4 How Does the PRG Pattern Link Masking Extension Work? Duplicate or near-duplicate content is your website pages that look pretty much similar to each other or just the same. Filter navigation URLs can create multiple pages with duplicate content. It leads to the situation when web crawlers don’t understand which of these pages should be ranked. In the end, it damages your SEO and website ranking in SERPs. Having multiple hyperlinks, or link juice, that lead to your website pages positively affects your ranking for Google and helps you get top positions in the search results. When link juice is distributed to the pages that you don’t want to be indexed by web crawlers, it gives wrong ranking signals. 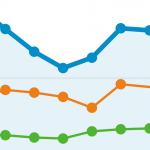 Another vital aspect of high rankings in search engines is proper internal link structure. This way, you help Google understand how your website pages are linked to each other and how they should be crawled. When link structure is set properly, it points search engines to the most valuable content on your store and boosts your SEO. 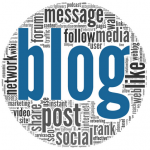 If a web crawler can’t understand the format of a link, it will not list a page in its index. Resources of search engines are limited, that’s why they assign a specific crawling budget to each website. A large amount of additional URLs leads to the crawl budget wasting since web spider’s resources are spent on not valuable content. It damages both frequency and quality of website indexing, affecting your ranking and SEO performance. You can use the “Meta Robots Noindex” tag to determine pages which shouldn’t be indexed by Google. Nevertheless, numerous URLs created by product and category filters will still be crawled, wasting your crawling budget. Canonical URL points search engines to the pages which should be indexed, helping to solve problems with duplicate content on your website. However, filter navigation URLs will be crawled and still damage your SEO rankings. You can also use a robots.txt file to avoid crawling of filter URLs by search engines. This way, search bots will understand which pages to include in the index, but it doesn’t mean they will not crawl other pages. So, the problem is still not solved completely. Another way to address the crawling budget issue is adding rel=”nofollow” to the links of filter options. However, this approach doesn’t help much with link juice distribution and indexing of duplicate content. As you can see, the mentioned above solutions don’t completely tackle the problems caused by layered navigation filters. That’s why the Post-Redirect-Get pattern is a better way to optimize a website’s layered navigation from the SEO perspective. 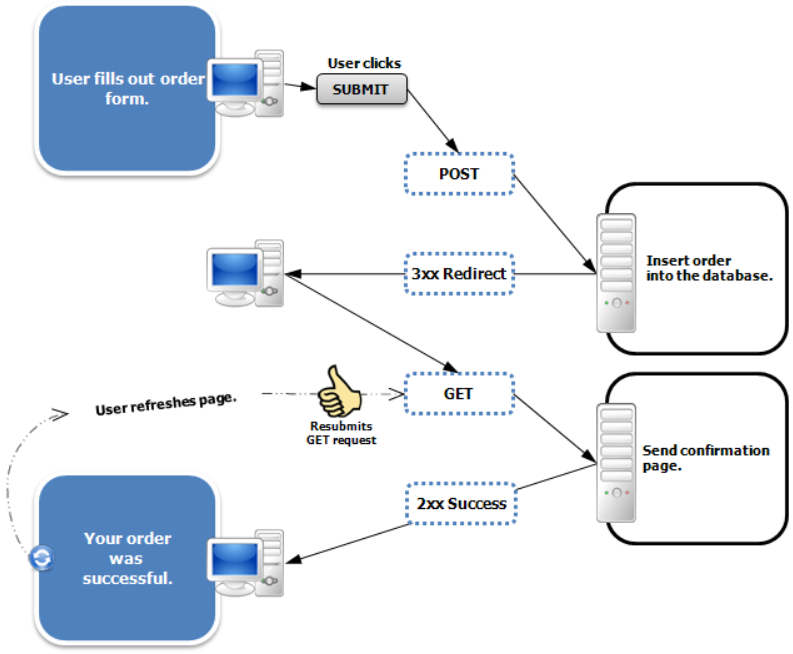 What is the Post-Redirect-Get Pattern? The PRG pattern represents the idea of preventing duplicate form submission. Let’s look at the case of the HTML form data sent to server. After a user clicks to submit a form, it generates a POST request that is processed by the server. If a user refreshes a website page, clicks on the back or forward buttons in the browser, or goes back to the form after submitting it, it will cause resubmission of the POST request. To address the issues with sending POST data, some browsers show warning messages to prevent page reloads after form submission. In the same way, some websites display their own warnings. In any case, relying on this kind of messages might mess up your database and worsen user experience on your storefront and trust to your website. The possible solution of double submission issue is a GET method. When using this method, a browser redirects to the results page instead of directly returning a webpage in response to the POST request. 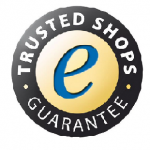 The results page is loaded separately and can be safely refreshed by a user. 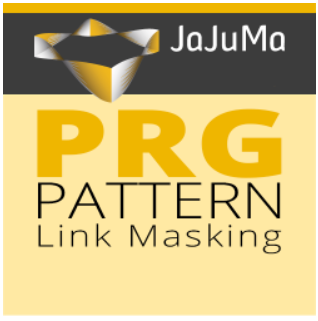 How Does the PRG Pattern Link Masking Extension Work? 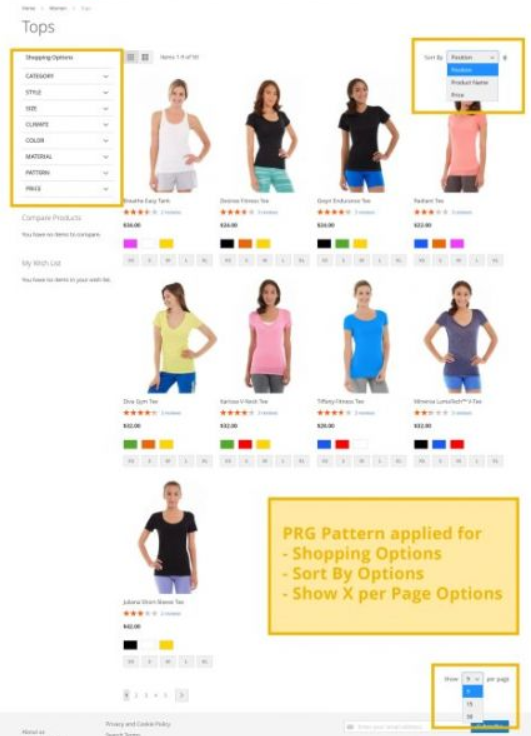 When a storefront user selects a filter to apply to products in a category, the PRG pattern module handles it as a form rather than a regular link. 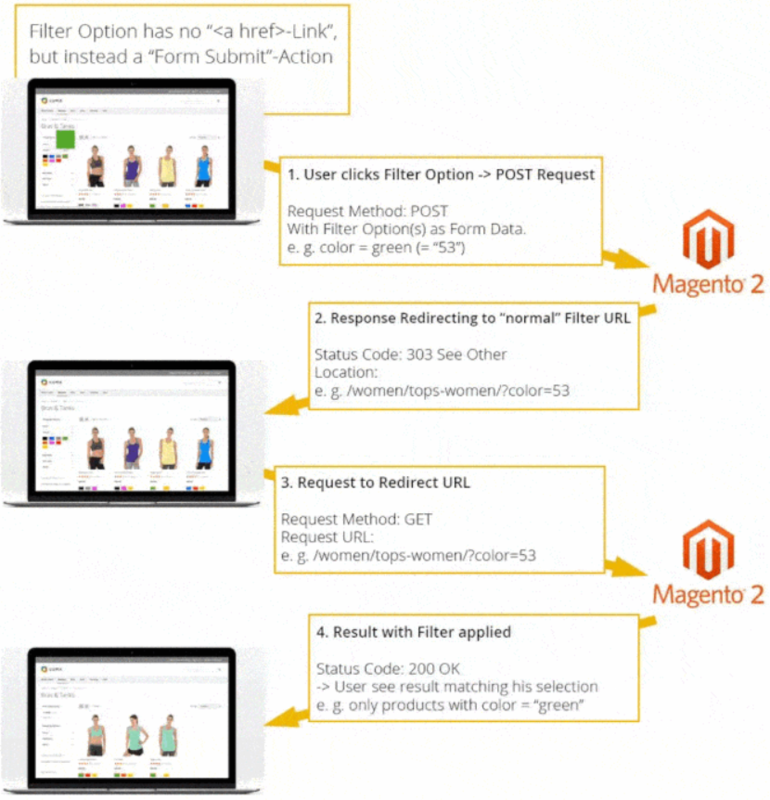 Then, the POST request is sent to the Magento 2 server, which allows avoiding the generation of a new filter URL. Next, the server redirects to the default URL link and generates the GET request. This way, existing filter URLs are not changed, while creation of new backlinks and sharing of layered navigation URLs via social networks remains possible. As a result, the PRG method significantly reduces crawling of filter navigation links by search engines like Google, which allows distributing your website’s crawl budget on more relevant content. Also, it helps to minimize generation of duplicate pages on your web store. 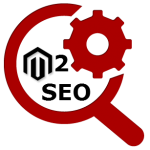 To get more information on how the extension implements the PRG pattern for optimizing filter navigation, check the user guide. Optimized indexing of a website. The PRG Pattern Link Masking extension for Magento 2 offers a reliable solution to avoid multiple URLs created by layered navigation filters. 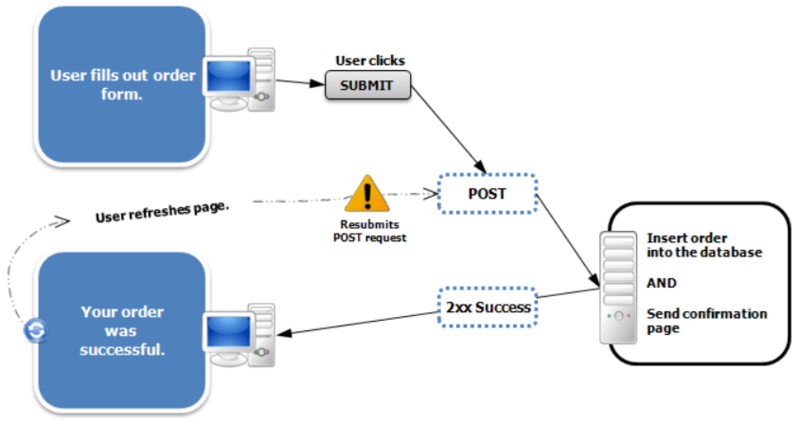 The PRG pattern method is a more efficient approach to SEO optimization of filter navigation in comparison to other possible techniques. It allows store owners to have a clear internal link structure, minimize content duplication, and use the crawling budget more efficiently. The Post-Redirect-Get approach is a proven way to make a website more SEO friendly and increase its ranking in the search results.